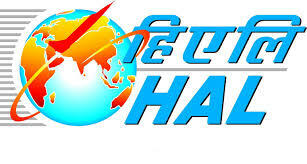 Candidates who want to apply for HAL Recruitment 2017 should posses B.Tech/ B.E in Mechanical, Electrical, Electronics, Civil & Computer Science (Engineering) / IT from any recognized Institution for Degree Apprentice and Diploma in Mechanical, Electrical, Electronics, Civil, Instrumentation, Computer Science (Engineering)/ IT from any recognized Institution for Diploma Apprentice. Candidates maximum age limit should be 28 years. Age relaxation is applicable for SC/ ST/ OBC/ PH candidates as per rules. § Interested and eligible candidates can apply before 05/07/2017. § Selection Will be Based either Written Exam/Interview by the Hindustan Aeronautics HAL norms or decision. § Interested and eligible candidates can apply before 5th July 2017-18, Selection will be based on Merit, taking into consideration the Marks secured in the Diploma (MoM & SP) Examination. The candidates who are interested apply for HAL Recruitment 2017 can apply online through Official website www.hal-india.com or 117.239.229.153/trg. · Candidates should have e mail id & password. · log on to Official website. · Click on HAL from careers & Select the Post. · Fill the required details. · Take print out of online application for Further use.